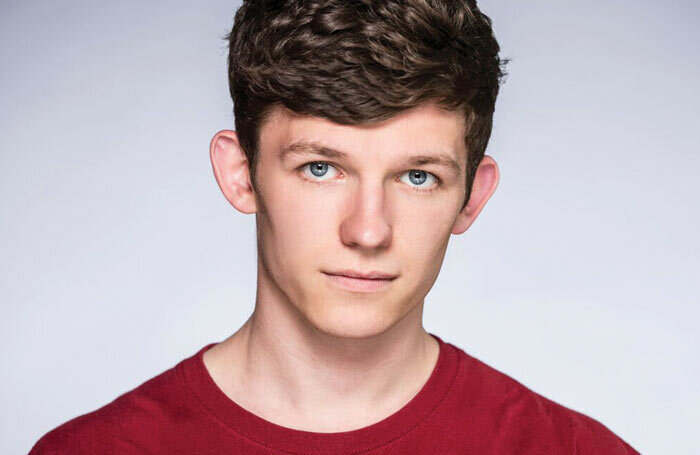 Despite never performing in a play before training at LAMDA, David Moorst made his stage debut last year in Wonderland at Hampstead Theatre. He is currently performing in Violence and Son at the Royal Court, London. What have you learnt from performing this show? I have got so much from speaking to the audience and there are so many sensitive subjects, some of which don’t get talked about enough, so it is great that it has a strong voice that makes people feel like they have to use theirs after they have seen it. Sometimes people get angry or upset about what they have seen or are impassioned to do something as a result. That makes me feel like I am a part of something that is a story well worth telling, which makes me quite proud. How does this compare to other work you have done? I have only been out of drama school a year and I left early to do a play called Wonderland with Ed Hall, which was my first show. It was about the miners’ strike in the 80s, and again it was nice to be a part of something that was so important and that affected people who came to see it. As a young person who wasn’t around then, it was great to learn about such a crucial time in our history. I hadn’t done much acting before I came to London. I did quite a bit of singing at high school and did musicals. It was my singing teacher who told me that I should audition for drama schools. I didn’t get in the first year, and the second year I got in to LAMDA. I had never been in a play before that, I’d never seen a play, the only plays I had read were for my auditions. I wasn’t quite sure why I wanted to do it, but I knew I loved making people feel something. When you come out of a show and you think you have been changed because of something you have seen, I think that is a really special thing. Did you ever feel out of your depth? Completely, for my whole first year at LAMDA probably. At the end of my first year we had to write our own pieces and I remember making people laugh for the first time in a year, and it was that thing again of making people feel something. From then on, I have just gone with it. I’m not ruling anything out at this stage. I love theatre and what I’m doing right now. I did a bit of TV work this year, just really small parts. I don’t have much experience in that area but I love cinema. I will go to the cinema and just watch four films one after another. I would so love to do film in the future, but I don’t think I will ever get over how amazing it can be to have a live audience. The fact that anything can happen and they will be with you throughout – I love that.